The Home of Plant Based Eating for Fitness, Health and the Most Amazing YOU Ever! Raw organic pumpkin seeds are pretty much a perfect food. They contain all the macro nutrients of fat, carbohydrates, and protein in the perfect ratios needed to keep your blood sugar stable and give you a slow release of energy. They also pack a high nutritional punch with their vitamin and mineral content, and in this post we will discuss the top 10 health benefits of raw organic pumpkin seeds. Pumpkin seeds are SO versatile! We have been eating raw seeds for nutrition since we evolved millions of years ago, which makes them the perfect Paleo food that your body will just love. 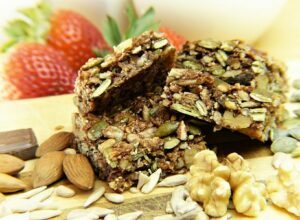 You can add them to many dishes as they are so versatile; plus they are a rich source of iron, are perfect on a plant based diet, can be added to smoothies, your morning cereal, a crunchy topping to soup and salads, homemade granola bars, or just munch them as a snack any time of day for a low GI energy boost. These delicious green seeds are best eaten raw as heat treatment will not only destabilise their lovely healthy omega fats, but will also destroy many of their healthful nutrients and antioxidants -something that you don’t ant to do! Buying organic seeds is always best as some pumpkin seeds can come laden with chemicals, fertilisers, or even heavy metals. This can be especially true if they come from countries that have lots of heavy industry going on, that’s why to be on the safe side I always opt for organic where possible. Before we start on the healthful pumpkin seed’s many benefits, here is a breakdown of all the goodness inside just one portion (which equates to about 28 grams, or one handful). The pumpkin seed’s antioxidants of vitamin E and carotenoids help slow down the aging process both on the inside and out, which in turn may help lower your risk of certain diseases, and will also help give your skin youthful glow. Antioxidants help neutralise the free radical damage inflicted on your body through environmental toxins, junk foods, trans fats, sugar, smoking, and alcohol. Antioxidants, by their very nature are anti inflammatory; and chronic inflammation can be one of the pre-cursers to diseases such as Parkinson’s, some cancers, asthma, allergies, high cholesterol, and high blood pressure. Eating a diet rich in high antioxidant foods, such as colourful fruits and vegetables, will not only make you look a million bucks on the outside, but will be doing you an even bigger favour on the inside. Pumpkin seeds, if consumed regularly, may help lower your risk of prostate, colon, stomach, lung, and breast cancer specifically (especially in post menopausal women). Studies suggest this is due to the ligons in pumpkin seeds (ligons are certain chemicals found in plants that help with hormone balance, hence the reason why they may be protective against breast cancer). 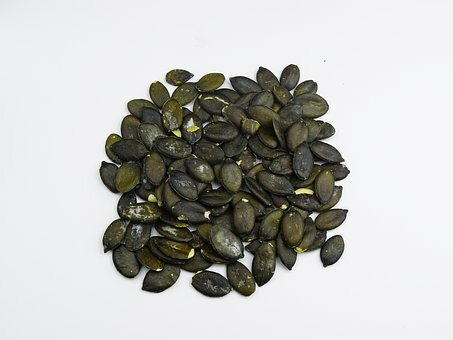 The pumpkin seed’s outstanding feature is its magnesium content. In fact, it is one of the best natural sources of this vital mineral that is needed in the body for over 600 chemical reactions. Imagine! And, it also so happens that many of us in the western culture are chronically deficient so there’s a good a reason as any to munch down on this delicious, nutty seeds. It’s obvious we all need a healthy heart ticking away inside us and pumpkin seeds contain all the elements to keep yours in tiptop condition such as antioxidants, EFA’s, zinc and magnesium. All of these nutrients combined can help lower blood pressure and boost good LDL cholesterol levels. So add a tablespoon of pumpkin seeds to your morning cereal, and make it a matter of habit. Yep, I said weight loss! Even though pumpkin seeds are high in fat, they have a very low GI of 10 out of 100. Glycemic index is a measurement for food, and tells you how fast a particular foods sugars or carbohydrates are released into the bloodstream- the lower the GI the better, especially for diabetics and weight loss purposes. Bear in mind that low GI eating is also pretty vital to everybody as high GI foods are associated (in the long run) with diabetes, obesity, cancer, metabolic syndrome, and heart disease. This leads me on to the next major benefit of pumpkin seed’s, as not only are they low GI, which making them great for weight loss, blood sugar control, and type 2 diabetes, but their high magnesium content has a double whammy effect on these conditions which all require magnesium. 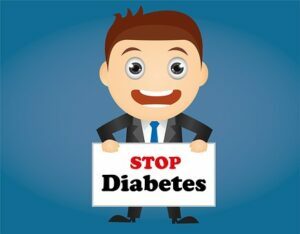 Three large studies have shown that those eating magnesium rich diets had a lower risk of diabetes. That’s just the effects of the magnesium alone, and without the other major benefit of blood sugar control due to the pumpkin seed also being low GI. One for the guys here: Everything about the pumpkin seed is good for sperm; they are high in zinc, antioxidants, and lots of other specific nutrients that contribute to sperm quality and healthy testosterone levels. Make sure you pack some pumpkin seeds in his lunchbox ladies, especially if you are trying to become pregnant; and also to help you have bouncing healthy babies! The magnesium in pumpkin seed’s are great for relaxing muscles, calming nerves, and ultimately helping you to sleep more soundly and deeply. They also contain the amino acid tryptophan which converts to serotonin, in turn converting to the sleep hormone melatonin. Sounds complicated, but the bottom line is we need our melotonin hormone to kick in in order to get a good nights kip. And being as so many of us are deficient in magnesium, it could very well be one of the contributing factors as to why most of the general population are just not getting the good quality sleep they need. You would. however, need more than one serving of pumpkin seeds to reap the full benefits, which is why if you have problems with sleep it is good to add other sleep inducing foods such as miso, whole grains, broccoli, lettuce, bananas, cherries, and almonds. There is no need to try and eat all these last thing at night – you can eat them all day long and the effects will come together when your body is ready to sleep. Don’t worry, eating these foods in the day won’t actually make you fall asleep at the office desk, but instead will just make you feel more calm relaxed. All of these problems can literally ruin your life. Depression, I know, from my own experience, is probably one of the worst mental illnesses, and when you’re hanging out there in the dark it can be hard to know what to do and where to turn. It is vital you understand the benefits of good nutrition and exercise to help fight these mental disorders. Pumpkin seeds, due to their high magnesium and mineral content, plus their low GI rating, are just one fantastic food out of many that you can add to your diet if you want to ease depression and anxiety. This, along with a low GI diet in general, omega 3 fish oil supplements, and CRUCIALLY a good exercise plan, preferably with some kind of weights or resistance training will help. Remember, it’s always best to consult your doctor first about mental illness issues t be n the safe side. The fiber content in pumpkin seed’s, as in other high fiber foods, is extremely good for digestive health, and the gut in general. Fiber keeps the colon healthy, keeps everything running smoothly, and also helps to drag all the nasty toxins and impurities out of your system, all of which will contribute to a beautiful glowing complexion and weight loss. Pumpkin seeds have the major plus of being highly transportable for on the go snacks anytime, anywhere, and they can also be added easily into most meals or snacks. Add them into your breakfast muesli, make a delicious homemade granola, use in baking, sprinkle onto salads, or anything else you can think of – just use your imagination! Thank you for reading this article. If you have any questions or ideas on how you use your pumpkin seeds then please post below and I will be happy to answer as soon as I can. Plant based eating is set to EXPLODE in 2019! And I myself have been living this healthful lifestyle for over 2 years and feel pretty awesome for it. So, I decided to design this website to share the experiences of my own plant based transformation with others; and to also show how I did it safely and healthily to ensure I met all my nutritional requirements. Good nutrition has helped me through many health issues in the past. I have lived, breathed, studied, tried, and tested healthy foods and food fads for as long I can remember. but I know that plant based eating is most definitely here to stay. Additionally, I have studied Sports Nutritional Advisory, Nutritional Therapy, and Clinical Weight Loss to add to my knowledge and understanding of nutritional human needs. This website is not intended to treat or diagnose any medical disease or illness. It's merely meant as a way of showing you how to boost your health through the eating of more nutritious plant foods, instead of junk foods. Thanks for great information. I keep on visiting your website to enhance my knowledge about plant blasted diet. I never used to take pumpkin seed as I was informed about high-fat contents. I never knew anything about Glycemic index. Thanks for sharing. I suppose now Pumpkin food can replace late night snacking safely. Hi Arun, I’m really flattered you are visiting my site to enhance your plant based knowledge as this is the exact reason I created it – for people who are starting out or learning about plant based eating. Yes, there is a lot of fear about fats, but they are all so different as on one end of the spectrum you have the unhealthy trans fats like those found in margarines, vegetable oils and fried foods, and then on the other end you have the healthier raw fats found in olive oil, avocados, nuts and seeds etc. It’s true that they will still make you gain weight if you eat too much of them, but I guess the point is they should be used as a replacement for unhealthy fats and not added on top. If you use them in this way and in moderation the you cant go wrong. Yes! I agree! I enjoy nuts and seeds as a before bed snacks and it is so important to distinguish between healthy and unhealthy fats! Stefanie, I really enjoy your website, keep up the good work! Hi Sylvie, thanks so much for the compliment I really appreciate it. I also eat nuts and seeds before bed as they are low carb and still fill you up until the morning. I’m one of those people who just has to have a bedtime snack and these are perfect! I absolutely love pumpkin seeds, especially the raw ones. I knew they were healthy, but I didn’t realize how healthy. What’s your favorite way to eat them? Hi Christina, yes I love them too, they actually taste great I think, and very moreish – I have to rein myself in on them ha ha. I usually have them on my breakfast cereal as I find they are a good boost of nutrients to help get me going in the morning, but other than that I add them onto my salads or just eat them as a snack with a piece of fruit (sometimes dried fruit if I’m doing a workout or need the energy). I find adding fruit just makes it a more wholesome snack, plus eating some fats or protein with fruit (especially dried) helps to slow down the sugar release making them lower GI. So good for weight loss! I don’t know why I never thought of adding them to my breakfast I usually add walnuts to my oatmeal but I think pumpkin seeds could be great. Thanks for the suggestions! Hey Stefanie, I had heard pumpkin seeds were a nutritious form of protein but had no idea of their additional health benefits you mention here. My wife always places a handful of pumpkin seeds into the blender whilst making our kiwi, spinach & banana smoothie – sounds strange but tastes fab, however now I understand the many benefits pumpkin seeds provide, this addition really does intensify the healthiness of our smoothie creation. Anything that helps reduce the risk of cancer, delivers weight loss, and controls blood sugar levels we take note of nowadays, however I was ignorant to the benefits pumpkin seeds have with regards to controlling anxiety and depression. What a super-food – Thanks for informing me. Hi Simon, that smoothie you speak of sounds delicious! Kiwis are one of my favorite fruits, plus they have twice the amount of vitamin C as an orange, which is great. Since I researched this article I have made an added effort to eat a handful a day too. Being a plant based eater as I have been for the last year, I have to make sure I get all my nutrients and pumpkin seeds help deliver that. I’m glad you enjoy them too. and thanks for your comment. Thanks for your well researched posts. I’ve learnt new things from your post which is wonderful because I do have an interest in nutrition and have been progressively trying to improve my diet to go back to natural foods, and making as much as I can from scratch. I’ve always eaten pumpkin seeds, and even take them to work as a snack with some sunflower seeds and almonds. I wasn’t aware of their high magnesium content which is an added bonus. I’ve only recently discovered the huge benefits of magnesium so it’s great to hear that pumpkin seeds are so packed full of magnesium. Hi Melissa, I’m glad you enjoyed the post and it’s great you are interested in nutrition as it’s something that can literally change your life (it certainly did mine). It’s all about taking things one step at a time and making small changes gradually which will add up to big changes long term. Yes, magnesium is something that most of us are deficient in and it can be causing all sorts of problems that we are unaware of so getting enough is very important. I’m all for getting as many nutrients as possible from the food we eat as opposed to supplements as it is much better absorbed that way, however this only really works well on a really high antioxidant and nutrient rich diet so make sure you’re getting everything you need. A very thorough write-up on the benefits of Pumpkin seeds Stefanie, thanks for sharing. I will give them a go! Thanks, I am glad you found the post helpful, and I hope you like pumpkin seeds when you try them. Make sure you buy the pre-shelled type or you will have a nightmare trying to eat a decent amount of them. Great article! I never knew Pumpkin seeds were so good for you. Thank you for writing this, it taught me a lot about my health and gave me inspiration to eat better. Hi Chad, yes they really are great huh? I eat a handful every day now, especially since researching them for this post. I’m glad you have been inspired to eat healthier as that is the point of my whole website so I’m glad it’s working ha ha. Good luck! Wow Stephanie, pumpkin seeds are amazing! I’ve been looking for ways to naturally increase magnesium, phosphorus and vitamin k consumption and here it is! I’ll be snacking on these with my children now. Thank you writing this detailed and valuable article. Hey there, you’re welcome and I’m happy you have learnt something from my post. It’s great that they have all those nutrients in one hey? Definitely good for the kids as they make a great portable and filling snack, plus full of the nutrients that growing kids need. You could also grind them in a coffee grinder and add to the kids breakfasts and smoothies etc if you want other ways of getting them to eat them. Hope that helps. Hi Stefanie, thanks for the detailed information on pumpkin seeds. I will put it on my next shopping list for sure. Hi Felix, thanks for reading and I’m glad you found the post helpful, I hope you find that you like them when you buy them. Wow, wow, wow, this is such a great and useful post. I never knew before that pumpkin seeds have that much benefits. I usually use to throw them away when I buy pumpkin. Thank you so much for letting us know, I will share this useful posts with all my friends and family. You always share great and useful articles, thank you so much. Yes, you can probably quite easily dry the seeds you get directly from the pumpkin, though it may be a bit of an arduous process as you will have to hull them all because they are in a hard shell, and you definitely wouldn’t want to eat that! You can actually buy them pretty cheaply already shelled so it’s probably worth doing that to try them first. They are very popular here in Britain and a staple in most peoples cupboards so we eat them a lot. Great post Stefanie and just think I grow pumpkins every year and throw the seeds away, not anymore. One question what’s the best way to eat them dry or raw? Hi Fred, yes you should definitely eat those pumpkin seeds from your pumpkins, though to be honest I don’t really know how you would go about preparing them straight from the pumpkin as it would mean an awful lot of work hulling them etc. Also, you can dry them out in a very low oven as that will also keep them raw. Raw foods, especially nuts and seeds, are so much healthier as the goodness from the oils can be lost in the heating process, so always buy raw nuts and seeds as opposed to roasted when possible. You may want to buy some first to check that you like them before you go to the effort of doing them yourself, they are usually pretty inexpensive to buy, even the organic ones. Good luck, and do let me know how you get on. Wow I love everything pumpkin so this article made me ecstatic! I had no idea pumpkin seeds were so beneficial. I always wanted to save all the seeds after halloween carving, well I think I will next time. Yes, never throw away those nutritious seeds from your pumpkins as you can try them out and eat them as a snack. Or even roast them in a low oven with some herbs and spices. Some people roast them in their shells and then peel them afterward; either way they are delicious. This is awesome! I had no idea how powerful pumpkin seeds are – I just like to eat them as they are. Thanks for sharing this information with us! No worries Amber, I’m glad you’re an avid pumpkin seed eater as I am ha ha. And now you know that you are also doing something amazing for your body whilst having a tasty snack. I really like your website, lots of beneficial information. I didn’t realize how important pumpkin seeds are to our health. Thanks for all the info on your site. Hi Art, thanks for checking out my site and enjoying it. I really appreciate your compliment and will try to keep up the good work! Keep an eye out for upcoming similar posts. Great post. I learned so many things about pumpkin seeds that I never knew. I never knew they assisted with sleep and helped reduce the chances of cancer! I will have to make sure these are in my house consistently. Hi Paul, yes it’s the magnesium that does this, great isn’t it? If you have sleep problems it is definitely worth adding pumpkin seeds to your diet to see if they help in a natural way. My trainer suggested that I should consume pumpkin seeds for muscle pain. How long I should consume it to see some positive effects? As it would be the magnesium in the pumpkin seeds that would be helping to ease the muscle pain I reckon it should kick in pretty quickly, maybe a couple of days or so. For this to be of good benefit you would need to eat a good quantity every day and keep it up. But with all those other amazing benefits, and also the versatility of the pumpkin seed, I’m sure it wouldn’t be a problem huh? One of our Halloween traditions is to roast the pumpkin seeds we remove from the pumpkins we carve. A little salt and some Worcestershire sauce does the trick. I know I’m killing some of the nutrition, but I think it enhances the fiber content in that if you crisp them up right, you can eat the whole thing! It’s tricky to get that right, but when you do, they’re delicious! Oh wow, my mind is blown Jon, I really had no clue you could eat those tough shells if you crisp them up! Sounds delicious; especially with Worcester sauce and salt! In fact, I will most definitely be doing this with my pumpkin next Halloween. You could probably save a lot of that nutrition by putting them on a slow roast at a low temperature as this will help keep the oils and nutrients stable. This site has amazon affiliate links on which I make a small commission. Copyright 2017 Zest Forever|created by Specia theme.